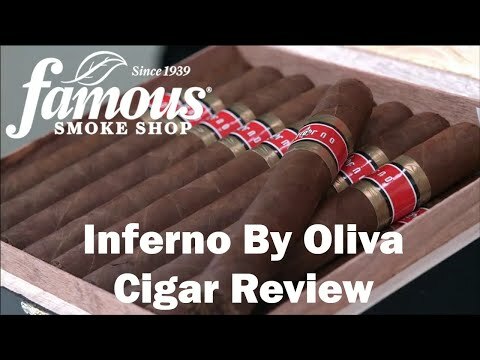 Inferno by Oliva cigars are widely acclaimed, ridiculously good Nicaraguan puros. Layers of dark, savory Ligero tobaccos cultivated in Nicaragua's most fertile growing areas prime the pump of this full-bodied blend seamlessly rolled in a naturally dark Nicaraguan Habano wrapper. Despite its potency, the smoke is velvety-smooth with a complexity that will delight you even more than the affordable price. Discover this mind-blowing value by ordering a box or a 5-pack now. You WILL be surprised!